NO, I’M NOT TALKING ABOUT MY HUSBAND WHEN THERE ARE NEWS CAMERAS AROUND! 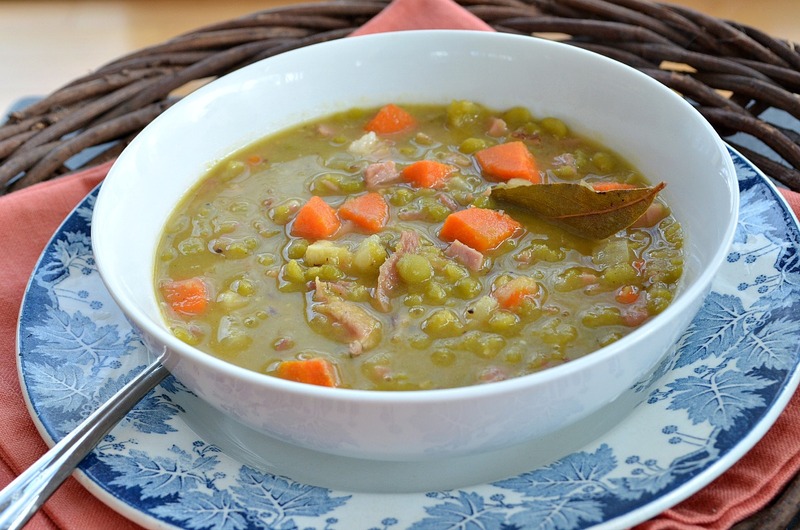 MAKE HAM AND SPLIT PEA SOUP! Put the broth and ham bone in a large soup kettle and set on high heat. Begin chopping vegetables and ham and add everything to the soup pot. Cover and bring to a boil, then lower heat and simmer for about an hour. Remove ham bone and let cool slightly. 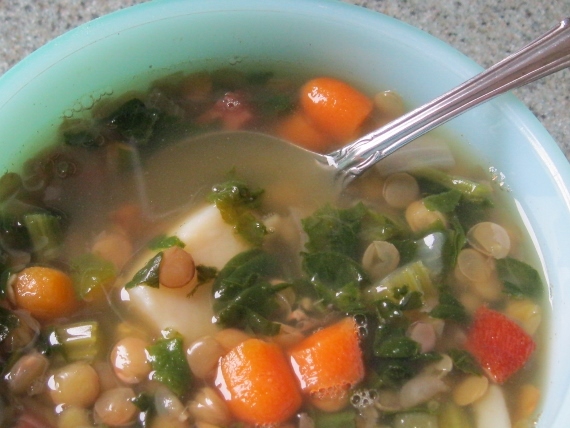 Remove any usable meat from the bone and add to soup. Serve with a little fresh ground black pepper! Dry split green peas are naturally gluten free but they are subject to cross contamination in processing and packaging. A soak and a rinse will help. Arrowhead Mills is one brand that specifically states it is Gluten Free.